How did I get this skin rash? What am I allergic to now? Why won’t those bumps on my arms go away? At least with breakouts you know what you’re dealing with. That rash on your neck can be caused by a thousand things you come in contact with everyday. Most supposed dermatologists and skincare experts couldn’t even name the exact cause or solution to your skin irritation problems (at least not on the first try). That’s why we took a look at some essential ingredients and found one in particular that caught our eye – Black Seed Oil. Used all the way back in ancient Egypt, this oil came from something called the “seed of blessing” for a reason. They even found this oil in the Pharaoh Tutankhamun’s tomb! The famous Greek physician Dioscorides used Black Seeds to treat headaches and toothaches. There’s a common saying that Black (Cumin) Seed cures every disease but death itself. Over 40 health conditions are said to benefit from the use of this herb. If over 40 conditions can benefit from this oil then why not use this ingredient to crack the mystery of that persistent rash? Or those annoying bumps on your arms? We think we found a pretty good solution that seems to be working for customers. 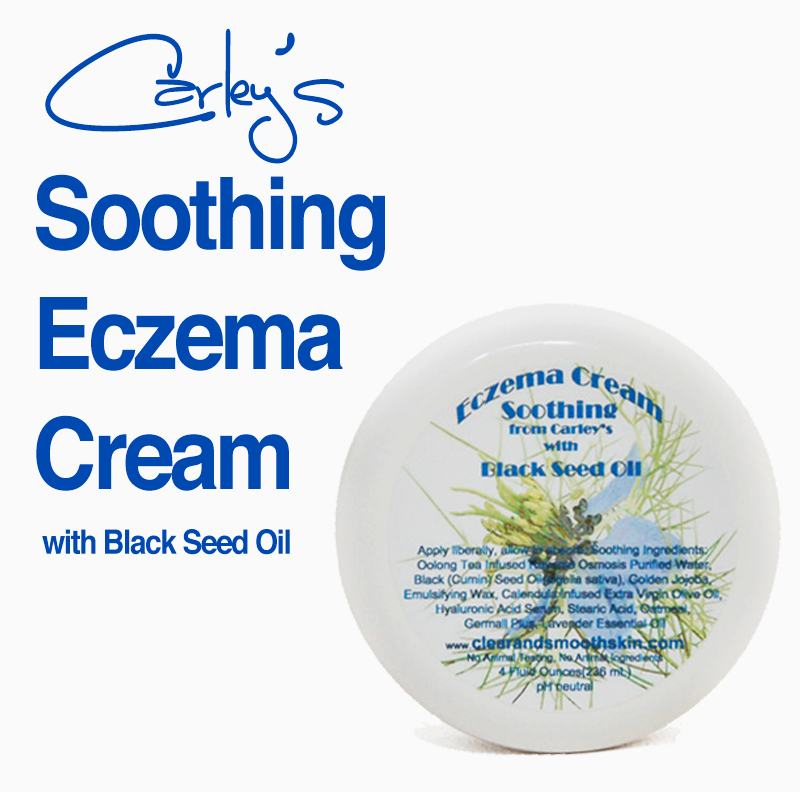 Carley’s Eczema Cream has helped countless customer’s psoriasis, itchy bumps, red areas, rashes and more. It’s the “Wildcard” of the Carley’s pack and really one of our favorite products out there.